Gran Turismo 6 Anniversary edition is announced! Yesterday, Sony announced Gran Turismo 6 special edition, devoted to the 15th anniversary of the racing franchise, which along with the standard edition will be available immediately after Gran Turismo 6 release. 6) Apex II, the latest version of the Apex game guide. Although Sony has not yet announced the cost of Anniversary edition, but we already know that no matter what edition you will choose, pre-ordering GT6, it will bring you nice bonuses. Will you get a million credits or twenty gaming race cars, will depend on what retailer you’ll use to make GT6 pre-order. 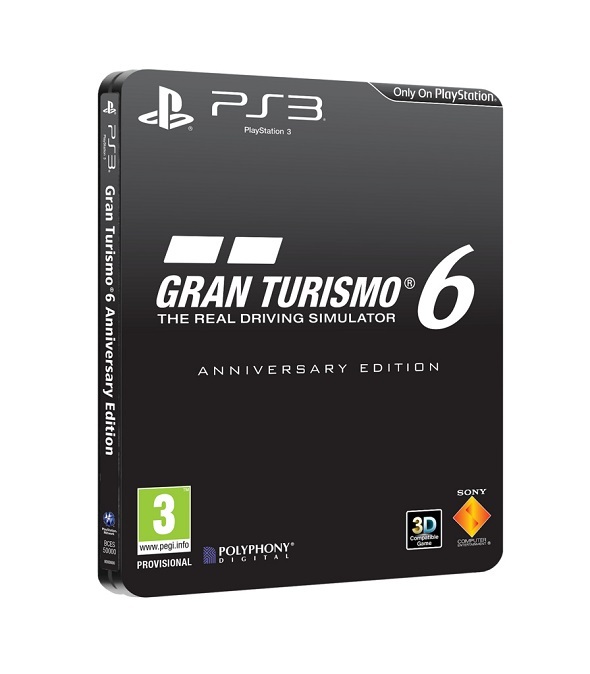 And, as always, we did not forget to remind you that Gran Turismo 6 game will be released in the end of 2013 for PlayStation 3. Fresh Gran Turismo 6 update will bring you lots of free content!